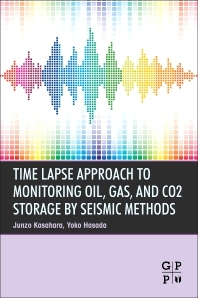 Time Lapse Approach to Monitoring Oil, Gas, and CO2 Storage by Seismic Methods delivers a new technology to geoscientists, well logging experts, and reservoir engineers, giving them a new basis on which to influence decisions on oil and gas reservoir management. Named ACROSS (Accurately Controlled and Routinely Operated Signal System), this new evaluation method is presented to address more complex reservoirs, such as shale and heavy oil. The book also discusses prolonged production methods for enhanced oil recovery. The monitoring of storage zones for carbon capture are also included, all helping the petroleum and reservoir engineer to fully extend the life of a field and locate untapped pockets of additional oil and gas resources. Rounded out with case studies from locations such as Japan, Saudi Arabia, and Canada, this book will help readers, scientists, and engineers alike to better manage the life of their oil and gas resources and reservoirs. Chapter 1. What is Time Lapse?